Setting out to improve processes is setting out on a journey. There are many destinations that you may want to reach and many paths to choose from. No one path is right for every traveler, and not all paths will get you to where you want to go. When you are traveling in unfamiliar or confusing territory, a guide who knows the area can be critical to keep you from choosing an inappropriate path. ACE Guides can supply Appraisers, Consultants, and Educators who know the CMMI territory well. We will be happy to work with your organization to help you plan a path for your process improvement journey. Together we will make sure that the path you choose is not just a “good” path, but the right path to follow to help your organization reach its desired destination. 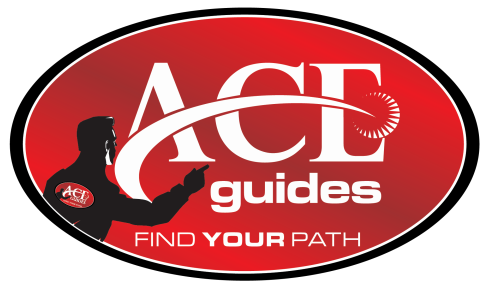 ACE Guides will then continue to work with your organization, to help guide you along your chosen path. We can provide courses and workshops on CMMI or on most any topic within the process improvement world. We can also provide experienced support people who can work side-by-side with you to help you develop and implement the model practices. Finally, ACE Guides has a cadre of very knowledgeable appraisers who can help your organization measure your process improvement. Our motto is "Find YOUR Path" and that is what we always help you do.